Anybody can be a father, but it takes someone special to be a Dad! Isn't that the truth? Show your Dad how special he is to you with this engraved Dad frame, which can be customized to say up to 12 kids' names! 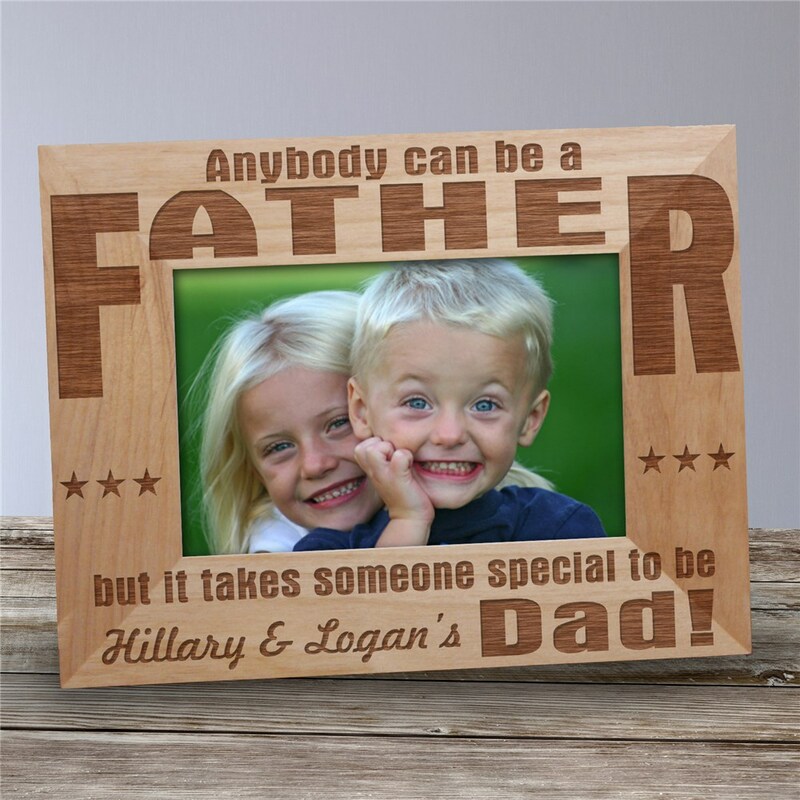 This personalized dad wood picture frame is available in three sizes and comes with an easel back, so it can be displayed on a desk or hung on a wall. Great picture frame. Just wish my kids names were alittle bigger on the bottom.